Provent Sleep Apnea Therapy is a clinically proven, FDA cleared treatment for Obstructive Sleep Apnea with no CPAP machine or mask involved. This sleep apnea treatment is a disposable, nightly-use nasal device placed just inside the nostrils and held securely in place with hypoallergenic adhesive. If you’re looking for a CPAP alternative to use daily or as an option when you're away from home, Provent Therapy could be a great solution for you! The therapy is very simple with 2 MicroValve nasal patches that use the patient's own breathing to create EPAP (Expiratory Positive Airway Pressure). During inspiration the valves are completely open to allow for an influx of air but only partially close during the exhalation to increase airway width and stabilize the upper airway during the final expiratory period. Provent works for all Obstructive Sleep Apnea severities and has demonstrated the ability to lower the number of apneas/hour a patient experiences. Ease of Use - Once the nasal patches are in place, the MicroValve system utilizes the power of your own breathing to help keep your airway open and enable natural airflow during sleep. Ideal for Travel - The Provent Sleep Therapy System is small, discreet, and disposable. Each set of patches are individually wrapped and are then discarded after a single night's use.The patches are also convenient for use anywhere you travel or on a nightly basis at home. Latex and Hypoallergenic Free- Provent patches are comfortable and breathable and contain no natural rubber latex. 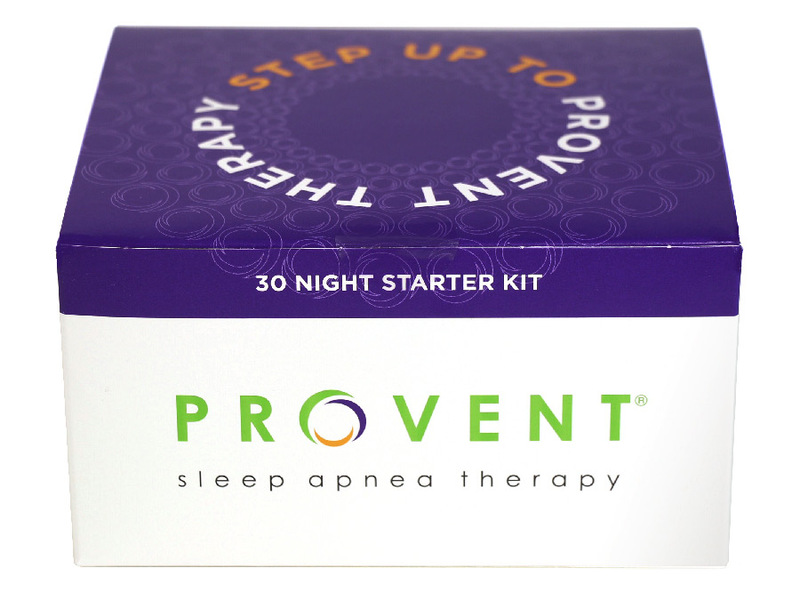 The Provent Starter Kit contains a 3-Phase product designed to help patients adjust to sleeping with the new device and gradually increase EPAP resistance over the first several nights of therapy. Similar to other sleep apnea therapies, Provent may take some time to become fully adapted. The Provent Therapy is a prescription product that should be used after consultation with a physician.